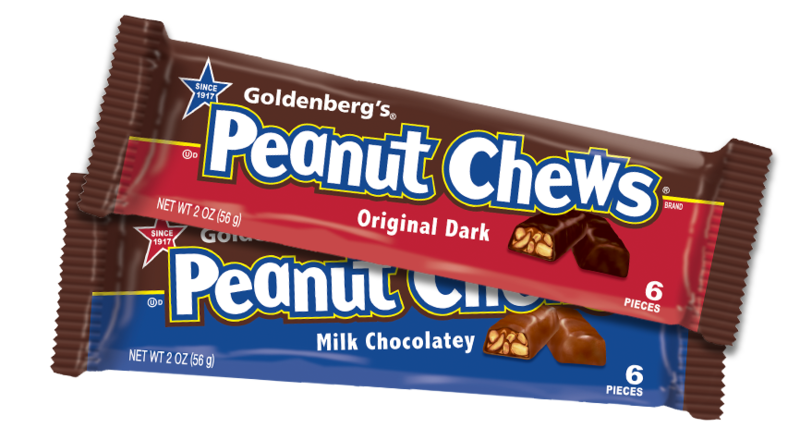 Fans everywhere have been enjoying the chewy, chocolatey, peanutty goodness of GOLDENBERG’S® PEANUT CHEWS® for more than 100 years! That’s right. 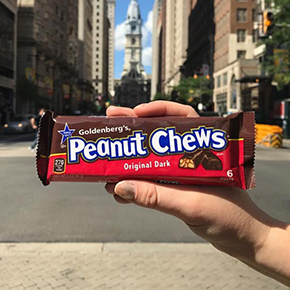 Since 1917, these one-of-a-kind, bite-sized candy pieces have been proudly made in Philadelphia, PA and continue to be a delightful treat for candy lovers of all ages. To learn more about this iconic candy brand, just roll over or tap the items below. candies were first developed in 1917 by the Goldenberg family and used by the U.S. Military during World War I as a ration bar. Tell us your nutty stories! 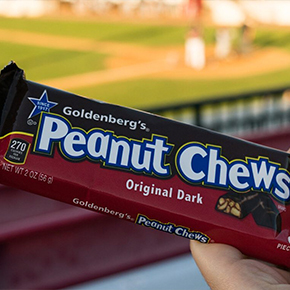 Pick up some PEANUTTY GOODNESS at a store near you! 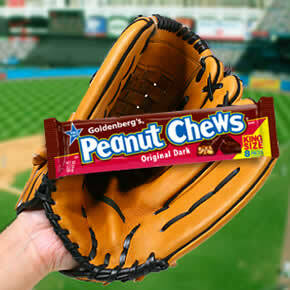 44,000 pounds of fresh, whole peanuts are used weekly at the PEANUT CHEWS® facility.